I admit it: I am a sucker for word clouds. I have been since that first Wordle created so long ago. 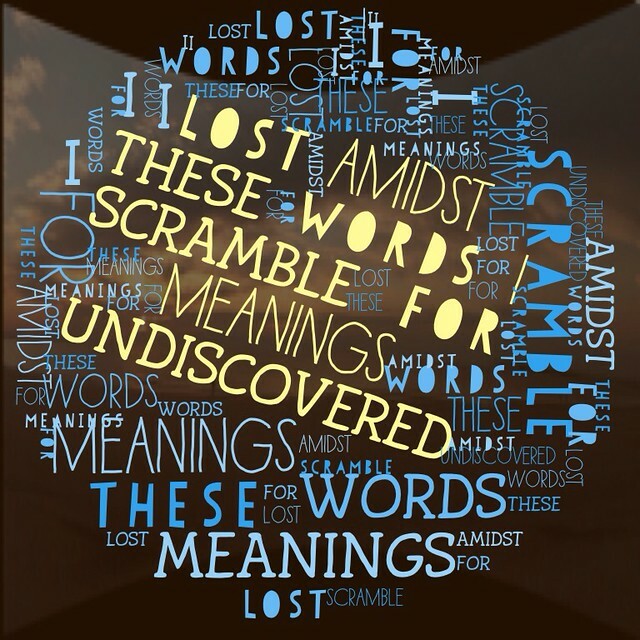 This app — Visual Poetry — is a cool twist on word clouds, turning short poems into visual images. Relatively simple to use (type in poem, choose cloud type, and generate), the app makes writing interesting to behold. The image above is a short poem that I wrote. In this case, I actually think the word cloud is better than than original. Perhaps it is that “scramble” idea. The app costs $1.99, which seems rather steep for what it does. But I paid, since I like what it does. There might be other ones out there that are free or cheaper. This entry was posted in Apps, Poetry. Bookmark the permalink.